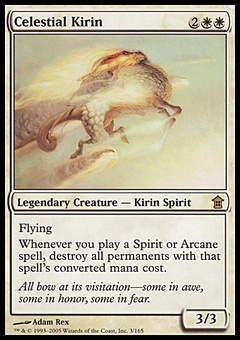 Bridge from Below ($8.00) Price History from major stores - Future Sight - MTGPrice.com Values for Ebay, Amazon and hobby stores! 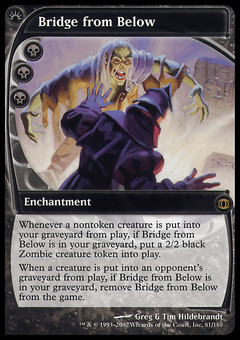 Card Text: Whenever a nontoken creature is put into your graveyard from the battlefield, if Bridge from Below is in your graveyard, put a 2/2 black Zombie creature token onto the battlefield. 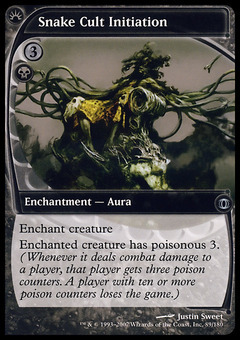 When a creature is put into an opponent's graveyard from the battlefield, if Bridge from Below is in your graveyard, exile Bridge from Below.